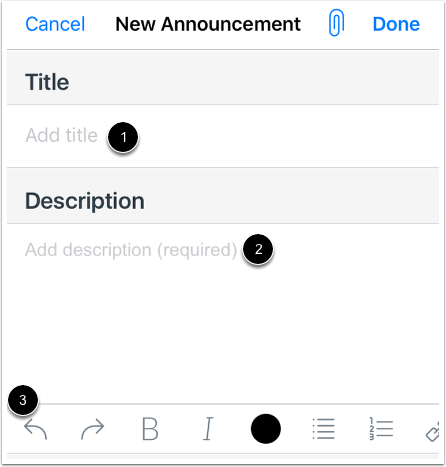 How do I add an announcement in the Teacher app on my iOS device? 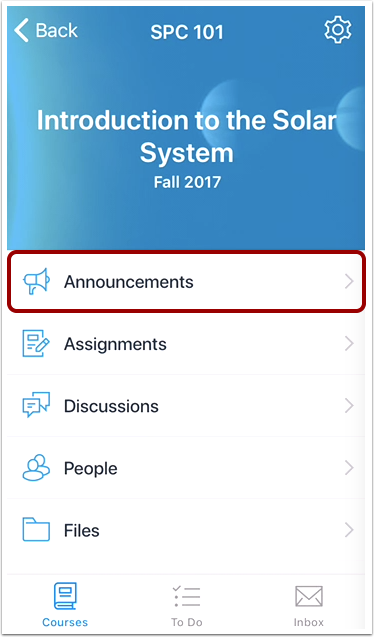 You can create announcements in the Teacher app to notify students about events without having to be logged into the browser version of Canvas. In the Title field , add a title for your announcement. In the Description field , add a description for the announcement. You can use the Rich Content Editor to format your title and description . Learn more about using the Rich Content Editor. 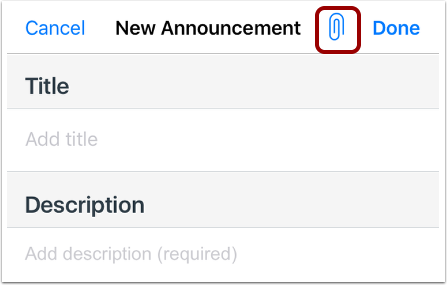 To send an announcement to specific sections, tap the Sections option . You can select to send the announcement to all sections, one section, or multiple sections. 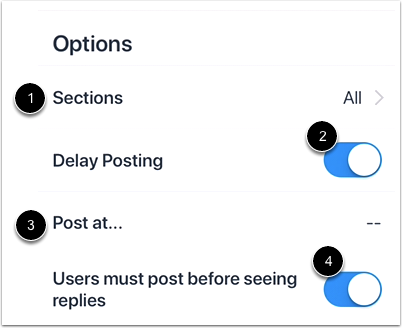 If you want to delay your post until a later time, tap the Delay Posting button . 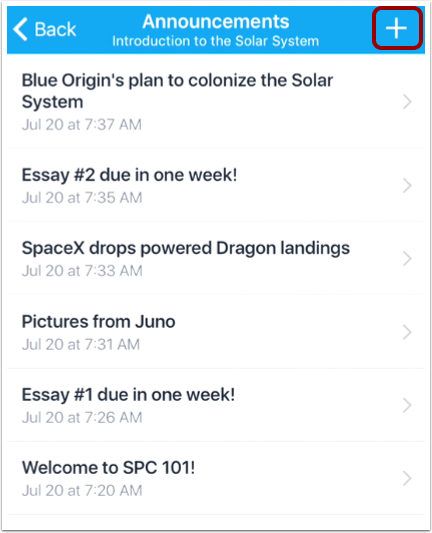 When enabled, select the date and time for your post by tapping the Post at option . If you want to require users to have to post to the announcement before seeing replies from others, tap the Users must post before seeing replies button . 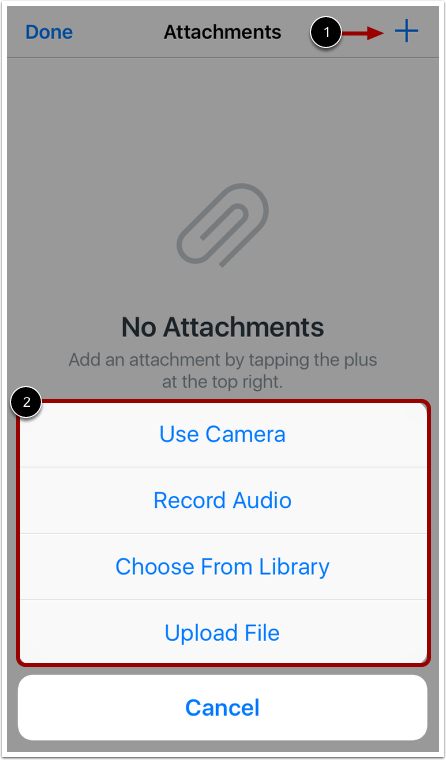 To attach a file to the message, tap the Attach icon. To select your attachment file, tap the Add icon . Then select how you would like to attach a file . Note: To learn more about media attachments, view the Canvas Media Comparison PDF. Once you have added your attachment, it can be viewed on the Attachments page . To delete your attachment, tap the Delete icon . To add another attachment, tap the Add icon . To return to your message, tap the Done link . Previous Topic:How do I view Announcements in the Teacher app on my iOS device? 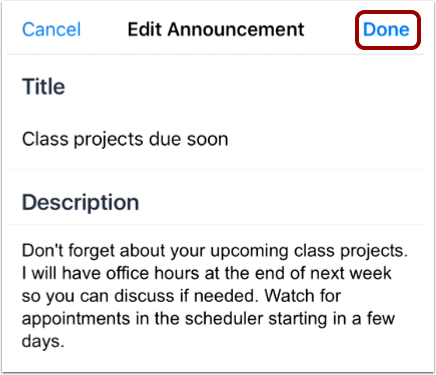 Next Topic:How do I view Assignments in the Teacher app on my iOS device? 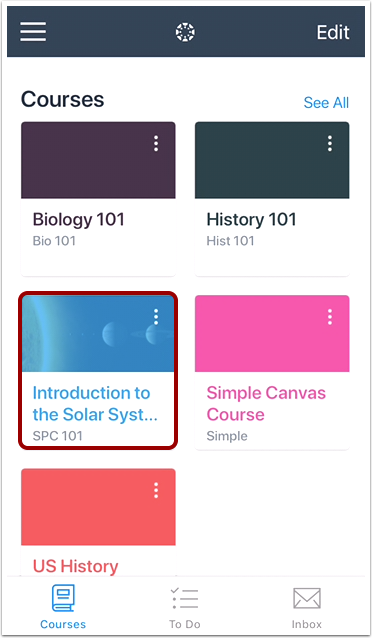 Table of Contents > Courses > How do I add an announcement in the Teacher app on my iOS device?